Aluminum strips on both top and bottom to ensure a custom fit and seal. Fluid resistant outer facing material surface. 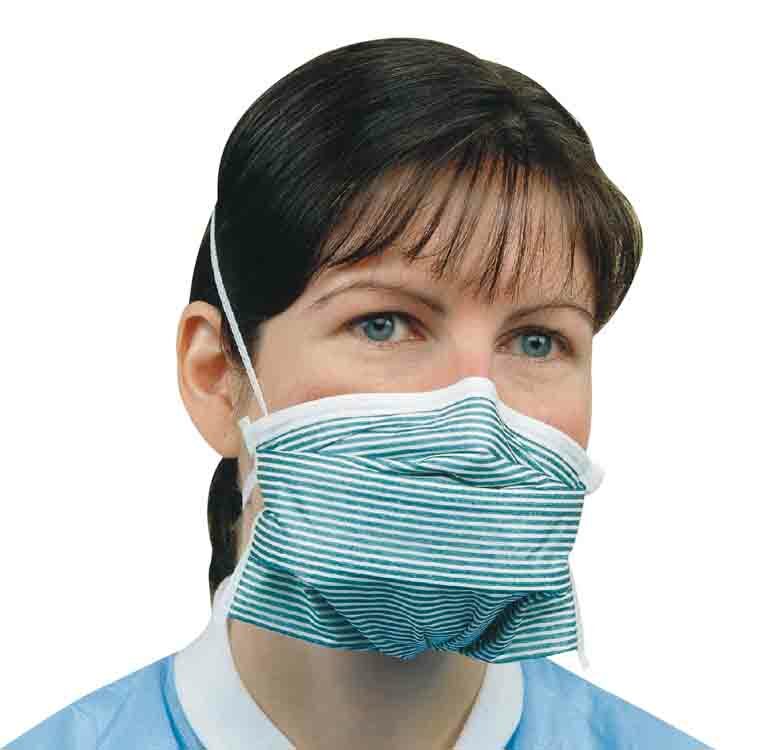 Mask material is fiberglass and latex free with comfortable dual knit elastic headbands. High filtration efficiency with a BFE at over 99% at .1 micron. Meets P100 NIOSH Standard. 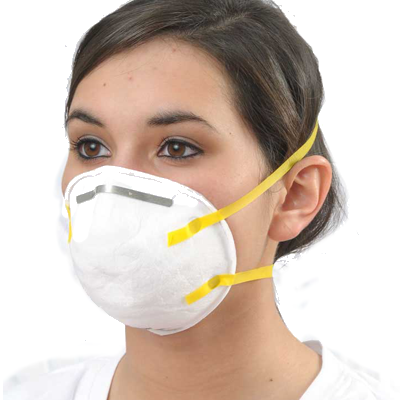 Magic Arch® poly propylene strips encased in mask material to provide a comfortable breathing chamber. 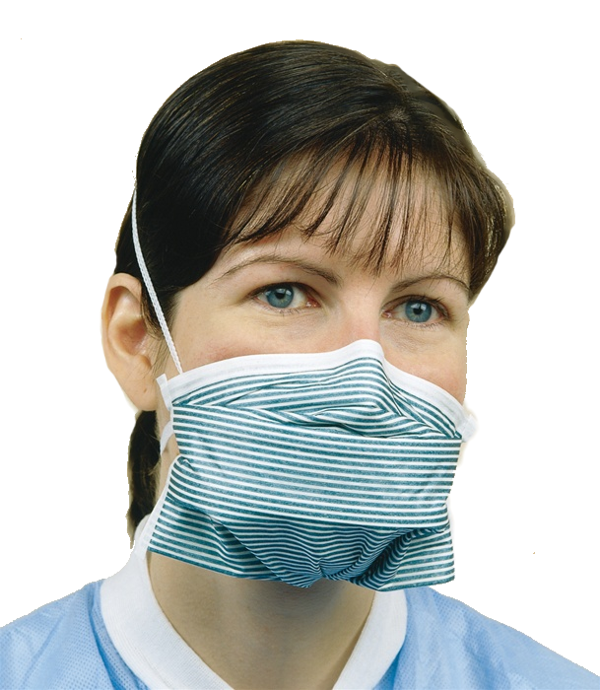 Positive Facial Lock® allows total facial closure for “custom fit” on any size face when donned correctly. Shelf life in excess of 10 years. 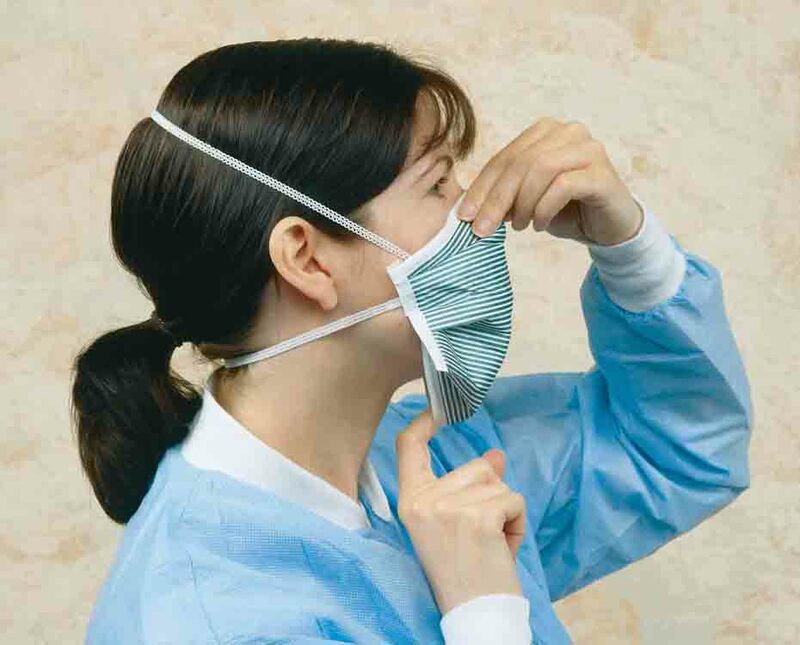 Will not degrade when exposed to ordinary body fluids or embalming chemicals. 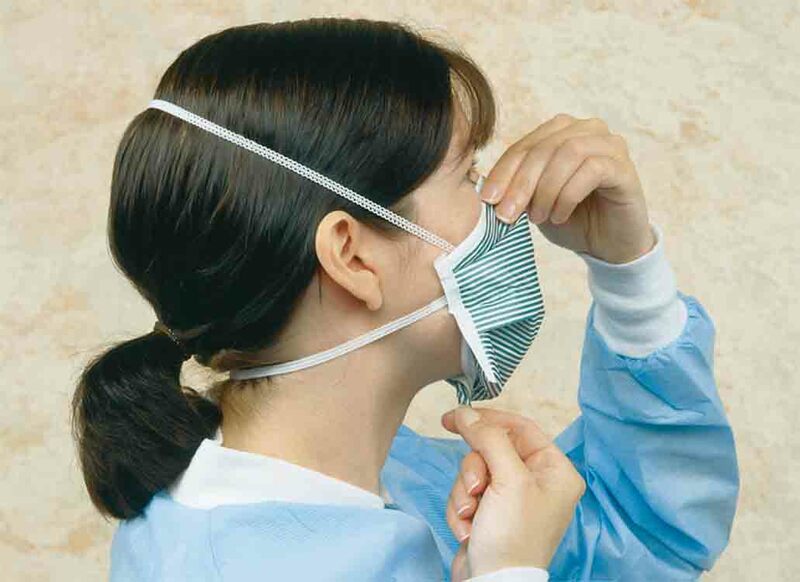 Mask filters at 99% BFE at 0.1 micron. finger of other hand behind chin piece. 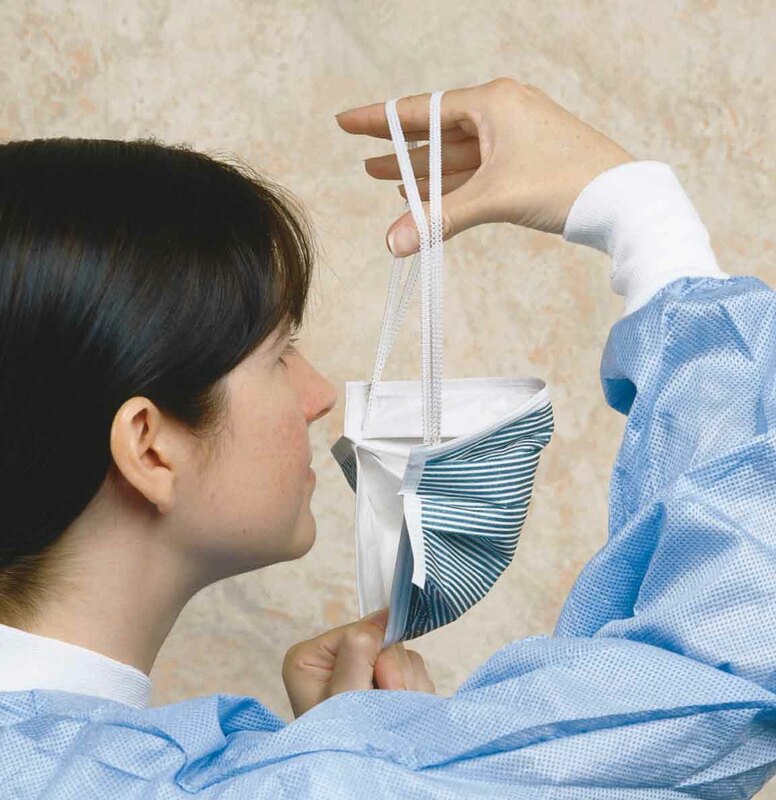 mask by pulling down and out on chin piece until mask is fully open. 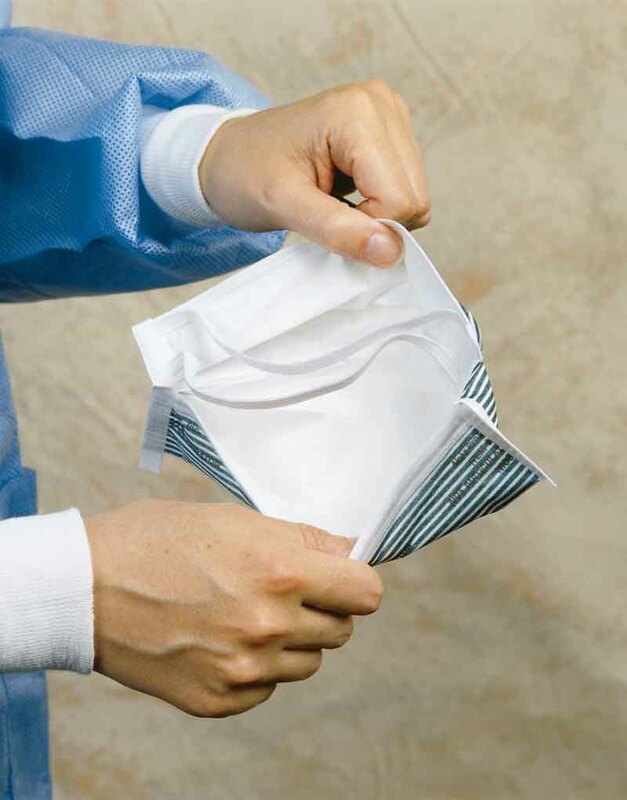 Place chin in pocket created. neck below ears and top band near crown of head. 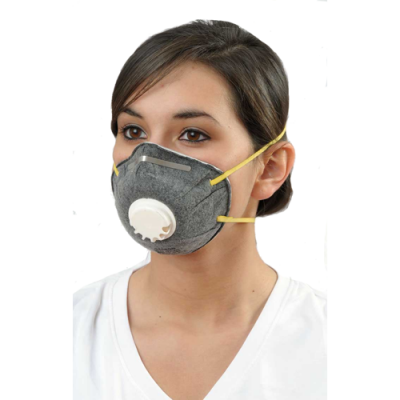 along edges of the respirator and exhale. If air escapes around your nose, adjust nosepiece. piece and repeat step 4 and 5 above. 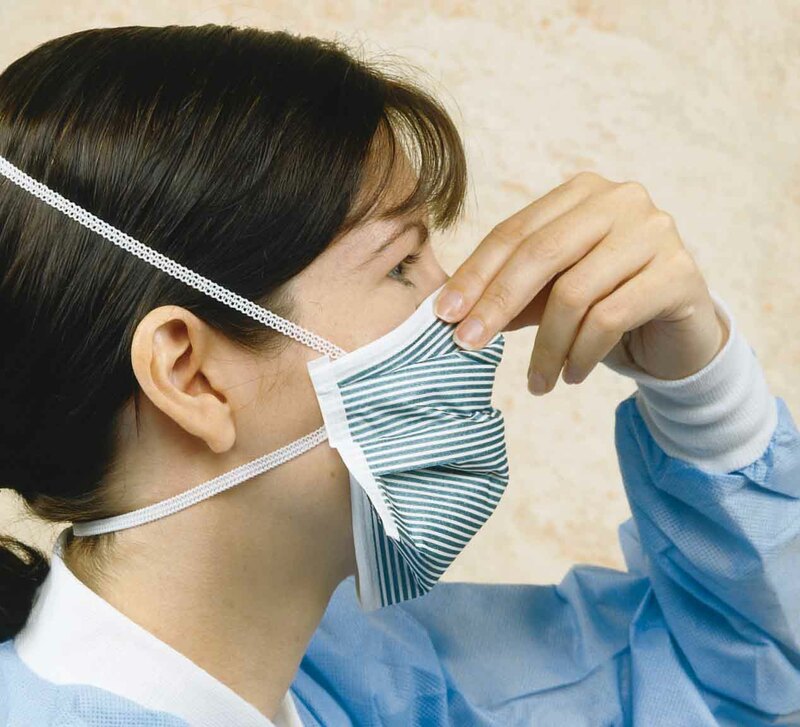 * NOTE: This procedure should be done the first time in conjunction with an OSHA Approved Fit Test Kit to be in “compliance” with OSHA Requirements and manufacturers’ recommendations under OSHA Respiratory Protection Standard 29 CFR 1910.134.